This summer, the LMTA organized two weekend training workshops for LMT guides following the LMTA training committee’s assessment for further capacity building in public speaking and cartography. The workshop on communication and public speaking was held at Ehmej towards the end of June. 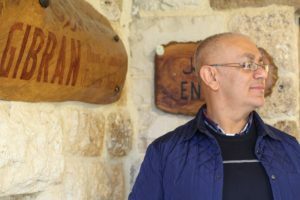 Despite the important World Cup games that were happening at the time, guides sunk all of their attention into the workshop which was facilitated by tour operator Lebanese Adventure and communication specialist Rony Mattar. 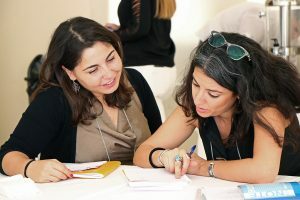 Throughout the workshop, guides not only learned techniques of public speaking, but also shared their field experiences in a peer to peer learning approach. Towards the end of August, LMT guides participated in a peer to peer workshop on cartography on Section 10 of the LMT. 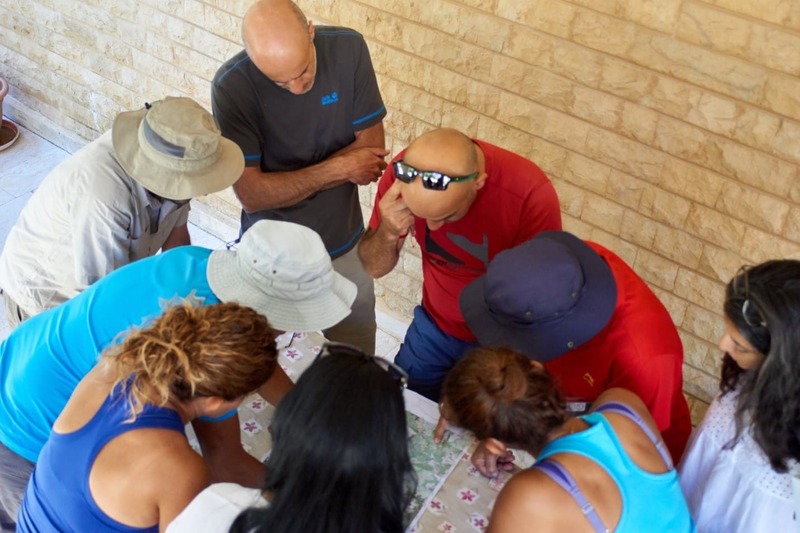 The session was facilitated by Lebanese Adventure and led by fellow LMT guide Habib Helou, who is specialized in cartography and speleology. The workshop mixed theoretical discussions about mapping and GPS, with practical exercises in navigation techniques and the use of GPS technologies. 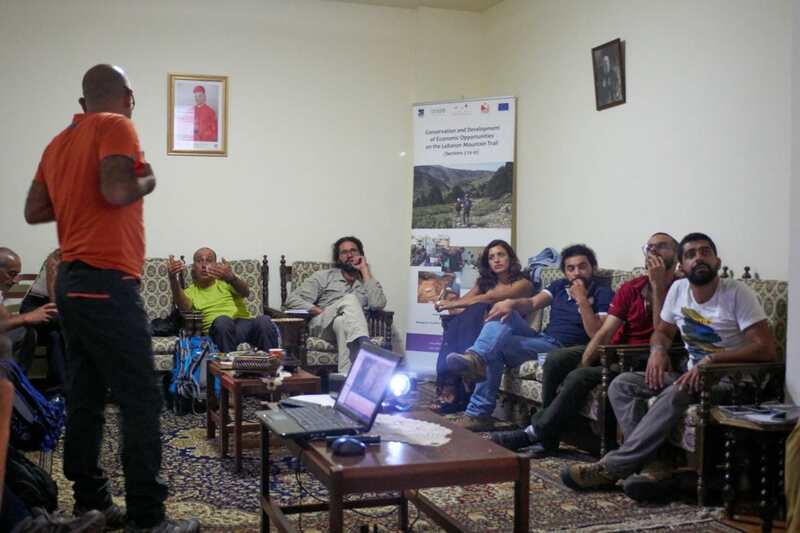 Both trainings came under the framework of the action plan that the LMTA developed and is implementing with the Municipalities of Ehmej and Tannourine, in which capacity building of service providers in the tourism value chain of LMT villages is a major action. As with any time that LMT guides come together, the trainings weren’t all business. 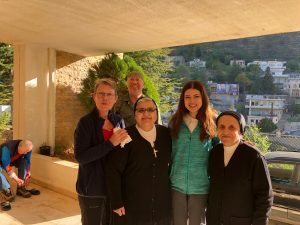 In June, the guide cohort laughed, danced, and sang together -some better than others- during a village dinner at Arz Ehmej with live musical performers. And although the cartography workshop took place in a convent, it didn’t stop one guide putting on a stylish fashion show demonstrating the variety of ways one can wear an LMT buff.